Cookies & Candies: Chanel Bargain! 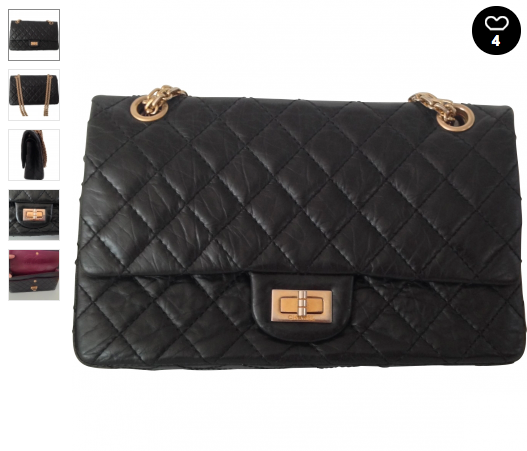 I doubt this Chanel Reissue flap, priced at £1505 will last very long. It's pretty much half the retail price. Hands up if you think the frequent price increases at Chanel is extortionate. Gosh.... I so need/want this bag!!!! Are you selling her in your ebay store? It's actually on Vestiaire Collective. The link is on the post. I found it while trawling the site looking for something else. The price increase is simply insane. I bought this baby a couple of years ago. And I love it to pieces! Really I do. But I am not sure if I would have done it again with the current prices.